This is the 3rd in a series of 6 pieces I have done with a Greek theme. This accent piece is 12" in diameter and 1" thick. 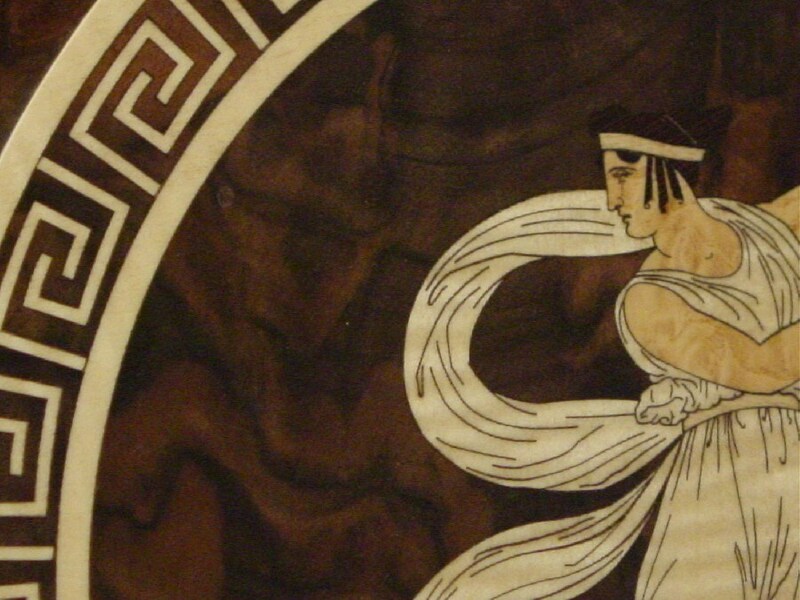 It is inlaid with walnut burl, anigre, holly, wenge and paduak. 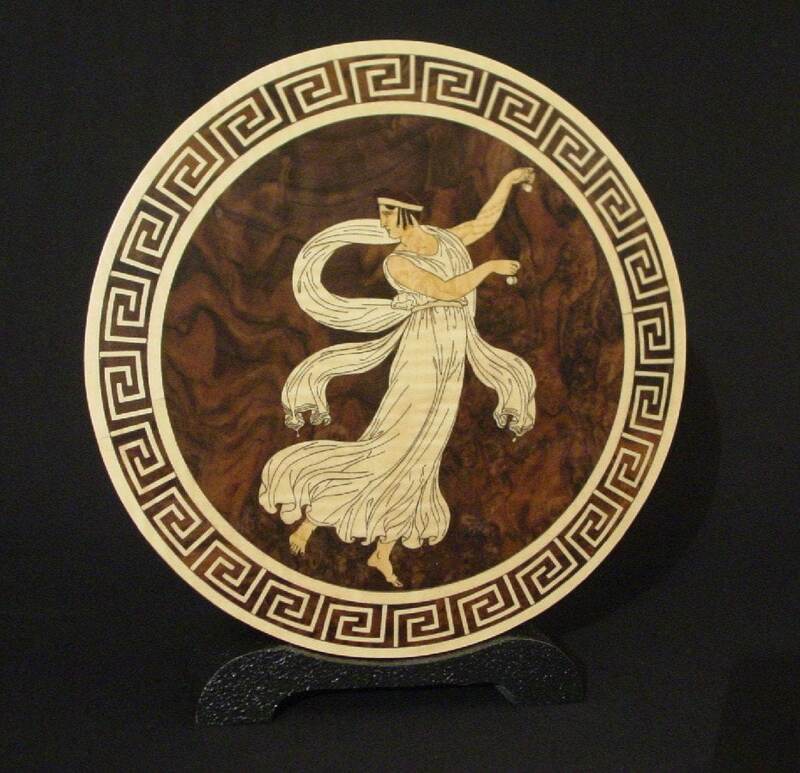 If you love Greece and Greek art you need this piece for your home. While the design is the same on each piece, they will vary slightly because of the different wood grains. This is a photo of the first in the edition..